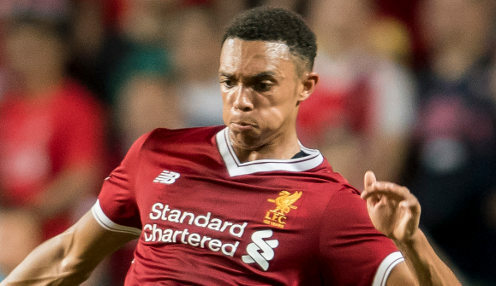 Liverpool are hoping the will have Trent Alexander-Arnold available for the resumption of the Premier League title race after the defender was forced to withdraw from the England squad. The talented 20-year-old has been struggling with a back problem and was forced to pull out of the Three Lions squad and will miss upcoming Euro 2020 qualifiers against the Czech Republic and Montenegro. England boss Gareth Southgate, who helped the national side reach the semi-finals of the 2018 World Cup in Russia, has taken the decision not to call up a replacement for Alexander-Arnold, who will now continue his recovery back at Liverpool. Reds manager Jurgen Klopp will be hoping Alexander-Arnold will be back in time for his side's crucial Premier League encounter with Tottenham on 31st March. Liverpool currently find themselves at the top of the table with two points between themselves and Manchester City, who have a game in hand over the Merseyside outfit. The Reds, who managed to edge past Fulham 2-1 in their last league outing, are 4/7 to win, 7/2 to draw and 5/1 to lose to Mauricio Pochettino's Spurs side at Anfield later this month.